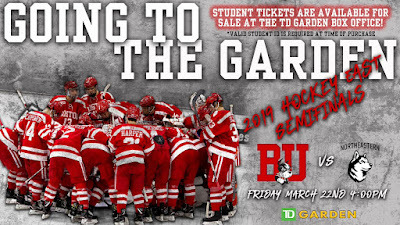 The Terriers are right back where they were a year ago, heading into the Hockey East finals and needing two wins to punch their ticket to the NCAA tournament. A year ago, BU edged BC in overtime in the semifinal and blanked Providence in the title game. Tonight, they’ll take on #6/8 Northeastern in a 4 p.m. start at TD Garden. The game will air on NESNplus. The other semifinal matches #1 seed UMass against BC. In three previous meetings this season, the teams have each won once with one tie. In a November weekend series, BU rallied from two goals down to tie the Huskies, 5-5, and then took a 4-1 decision the next night. Last month in the Beanpot opener, Northeastern won in overtime, 2-1. The Huskies, who have won nine of their last 10 games, are led by a pair of Hockey East first team all-stars, goalie Cayden Primeau (2.05, .935) and defenseman Jeremy Davies, who leads the team with 34 points. Forwards Liam Pecararo and Brandon Hawkins each have 28 and Tyler Madden has 27. 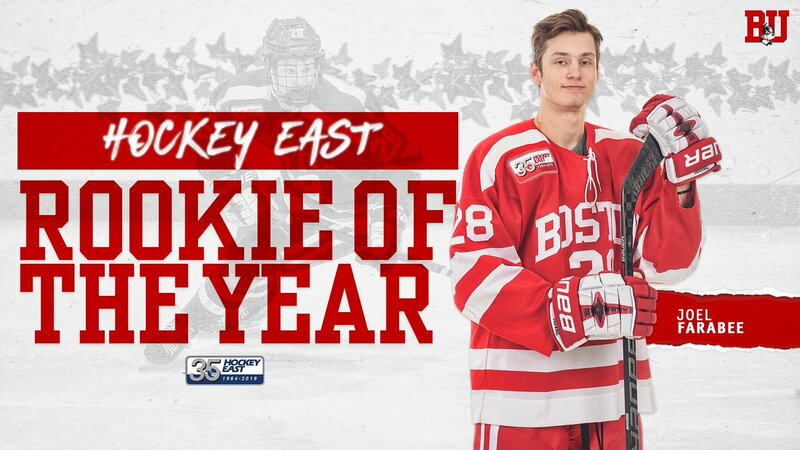 Freshman Joel Farabee has been named Hockey East Pro Ambitions Rookie of the Year, the third BU winner in five seasons and tenth overall. A first-round draft pick of the Philadelphia Flyers, Farabee led all rookies in conference scoring with 24 points (7G, 17A) and is the Terriers top scorer with 17 goals and 19 assists. His four-goal performance in the quarterfinal series against Lowell earned the Cicero, NY native his third Hockey East Rookie of the Week award. 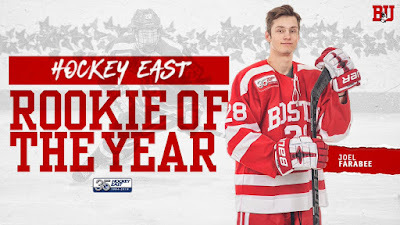 Recent BU winners of the top rookie award include Clayton Keller (2016-17), Jack Eichel (2014-15), Charlie Coyle (2010-11) and Kieran Millan (2008-09). 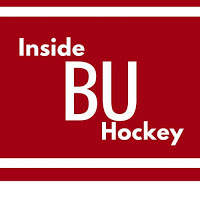 Episode 20 of Inside BU Hockey features Bernie Corbett’s conversation with Head Coach Albie O’Connell as BU continues to seek to defend its Hockey East Championship, as the tournament moves to the semifinal round. Hockey East has announced its 35th Anniversary Team of 70 players as voted by fans, coaches, officials and the media. Terriers among the top vote-getters were Chris Drury, Jack Eichel and Charlie McAvoy. 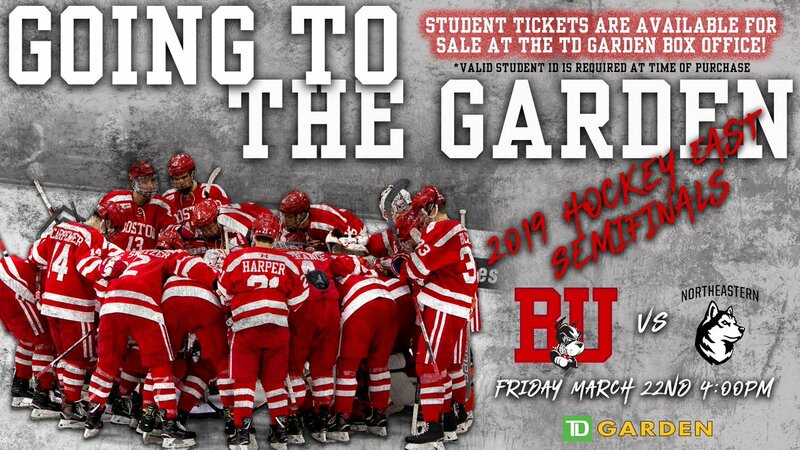 Other BU selections were: forwards Tony Amonte, John Cullen, Mike Grier, Shawn McEachern, Jay Pandolfo and David Sacco; defensemen Matt Gilroy, Matt Grzelcyk, Tom Poti and Kevin Shattenkirk; and goalie John Curry. The four-day NTDP Evaluation Camp for the 2019-20 U17s opened Thursday at USA Hockey Arena in Plymouth, Michigan. 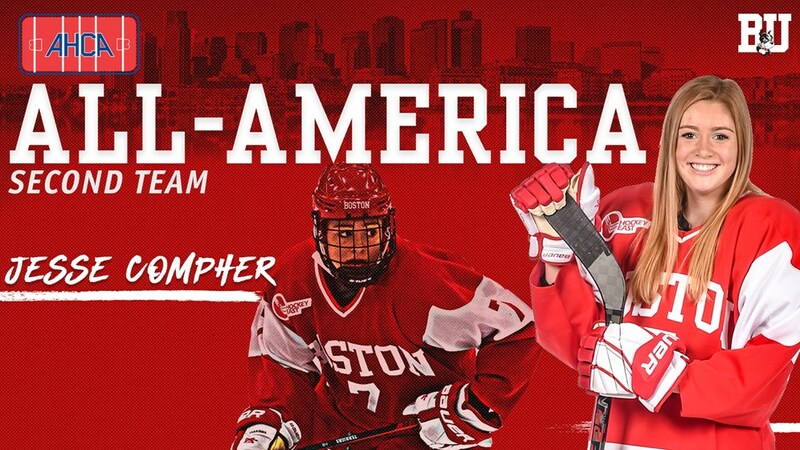 The 52-man camp roster includes three 2021 Terrier recruits: forwards Tyler Boucher and Jeremy Wilmer and defenseman Roman Schmidt. Sophomore forward Jesse Compher has added CCM/ACHA Second Team All-American to her post-season honors. Compher led BU in scoring with 61 points including a program-record 44 assists, finishing third nationally in points and second in assists. She also was a unanimous Hockey East First Team All-Star and a top-10 finalist for the Patty Kazmaier Memorial Award.